Our 17-year-old cat Boscha died last night, Monday, Nov. 28. She was hit by a car in front of her 14th street home. Everyone in Northtown knew her; circles of college students would gather to sit in the driveway to pet her. Homeless folks on the way to Redwood Park would stop and share their meals with her. 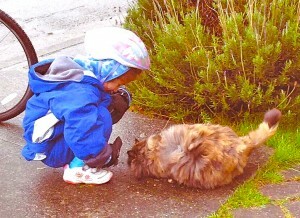 Some locals had been petting her for as long as they could remember. Students would comment that finally, after six years, they would be graduating, and how much they would miss the cat. Boscha’s death deserves to be mentioned; so many people knew and loved her. I just wanted them to know what’s happened and how sad we all are. 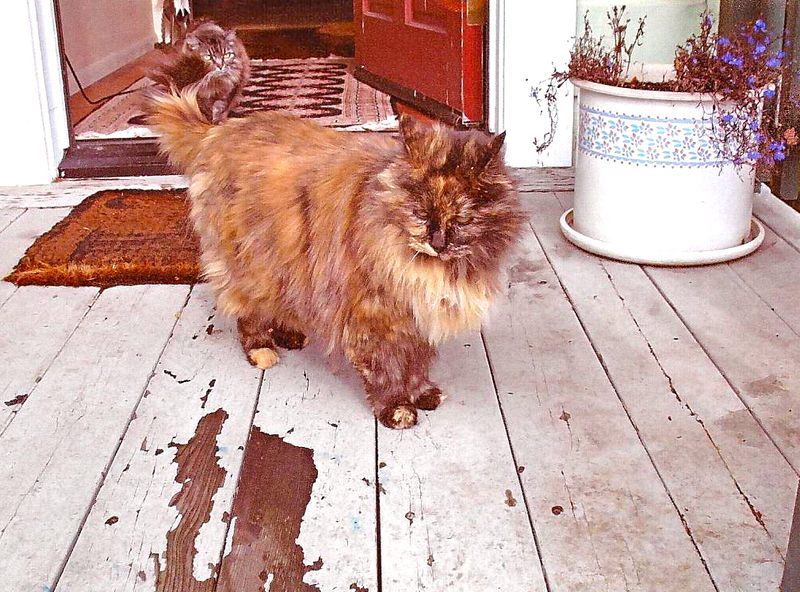 The long-haired tortoiseshell kitty with the summer dreads (she wouldn’t let us groom her), the kitty that called out for attention and always got it; has died. She gave and received unconditional love. She will be missed. This entry was posted on Friday, December 9th, 2011 at 2:43 pm	and is filed under Community, Animals. You can follow any responses to this entry through the RSS 2.0 feed.